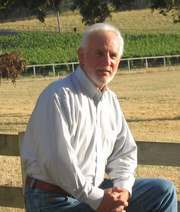 Jim is a fourth generation, retired rancher in the Paso Robles area. As a young man he grew up to love the land, and he has a high degree of appreciation for agricultural in the area. He has farmed and ranched in a 20-mile radius of Paso Robles and can share a lot of experience and knowledge to the newcomer or to anyone thinking about moving to the central coast. He is also very familiar with the cities and neighboring communities and frequently lists and sells homes in the towns. "The thing I like best about this area is that I don't have to be the one who's doing the selling, the properties sell themselves." All Jim will do is give his honest opinions to help clients make informed decisions and then represent their best interests throughout a transaction, whether they are selling or buying. The ultimate goal is to have a happy and satisfied client for the future.